Faucet Type: Bathtub Faucet, Shower Faucet. Features: Rain Shower, Thermostatic, Waterfall. Overall Height: 48 cm x 32 cm x 15 xm (18.89” x 12.6” x 5.9”). 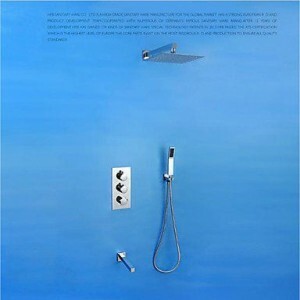 Showerhead Width: 25 cm x 25 cm (10 ”).